Receive your mail and packages wherever you are. We can even send your mail to your RV park or Marina! Ideal for full time RV'ers and boaters. Even for truckers or travelling salesmen! In the 21st century many people are on the move and do not have a permanent physical address to receive their mail and packages. With our mail forwarding services, USA2Me can provide you with a permanent USA address! USA2Me will receive your mail and register it online. YOu can then request that we scan it for your review or send it to physically to you! We can even discard junk mail for you! 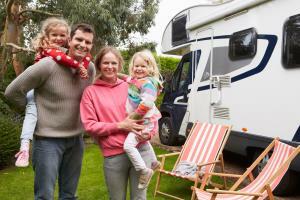 Watch our RV Mail Forwarding Video!